Liturgical poet. 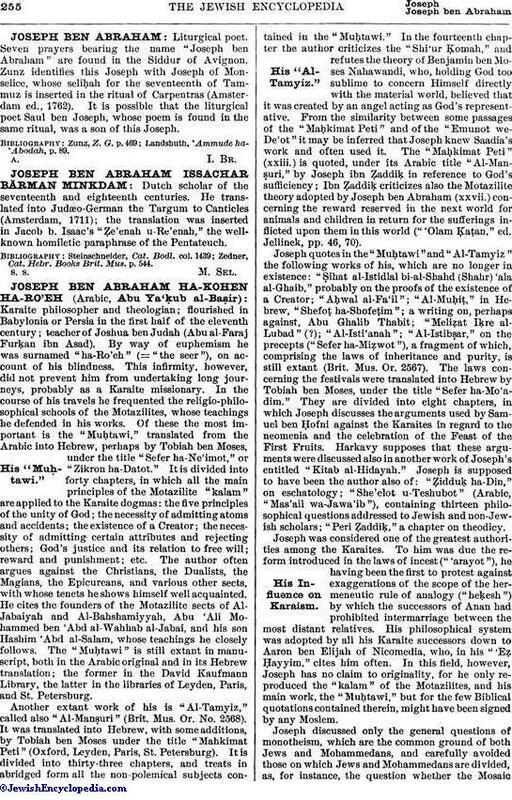 Seven prayers bearing the name "Joseph ben Abraham" are found in the Siddur of Avignon. Zunz identifies this Joseph with Joseph of Monselice, whose seliḥah for the seventeenth of Tammuz is inserted in the ritual of Carpentras (Amsterdam ed., 1762). It is possible that the liturgical poet Saul ben Joseph, whose poem is found in the same ritual, was a son of this Joseph. Landshuth, 'Ammude ha-'Abodah, p. 89.